I had the best time visiting Pechanga Resort Casino in California. I was lucky enough to go check out the resort and get the scoop for you. 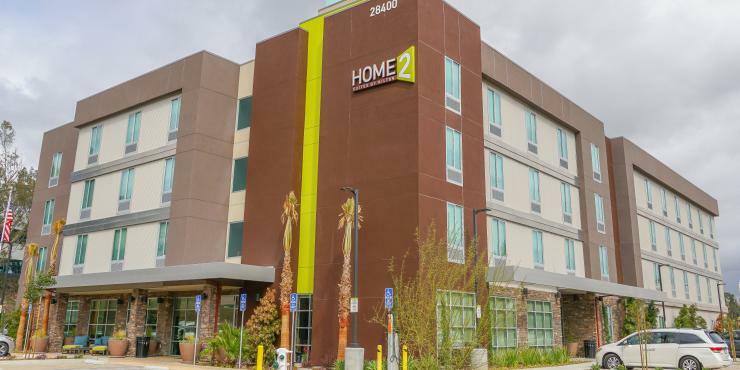 In December 2015, the Pechanga Tribe broke ground on a $285 million expansion to its current resort amenities and I was there to see the final result. As part of the expansion they added a 568-room hotel wing, a two-story spa, resort-style pool complex (it is amazing!! ), two new restaurants and 70,000 square feet of additional meeting and event space. It is nestled in the Temecula Valley’s picturesque Southern California wine country and Pechanga was named “Best U.S. Casino” by USA Today. After my stay I will completely back up this honor for them. The entire resort is so beautiful! Pechanga Resort is wholly owned and operated by the Pechanga Band of Luiseño Indians. Opened in 2002, Pechanga is the largest resort/casino in California and one of the largest in the country, with 188,000 sq. ft. of gaming space. Here’s the scoop on what I did while I was there, trust me you’re going to want to take this trip. I flew in to LAX from Kansas City. It was a bit of a drive from the airport, but definitely a scenic route. Once I arrived I checked it and everyone was so helpful and welcoming. I checked into my room and was set for my next few days. I took a little time to unwind and took a tour of the resort before playing Bingo! Yes, Bingo!! This resort has it all. It was so much fun and I can’t tell you enough how welcoming everyone was on my first day, the hospitality continued through the entire trip. After Bingo I had dinner at Kelsey’s. It is a restaurant at the resort that serves American food. I tried a lot of great restaurants on the trip, but Kelsey’s was my favorite. The nachos and fried pickles won me over. The next day I spent the whole day soaking in the sun. When I say these pools are incredible I’m not exaggerating. The Cove is the areaand it is on Pechanga’s 4.5-acre tropical oasis that brings comfort, cool and the ultimate tropical chill. 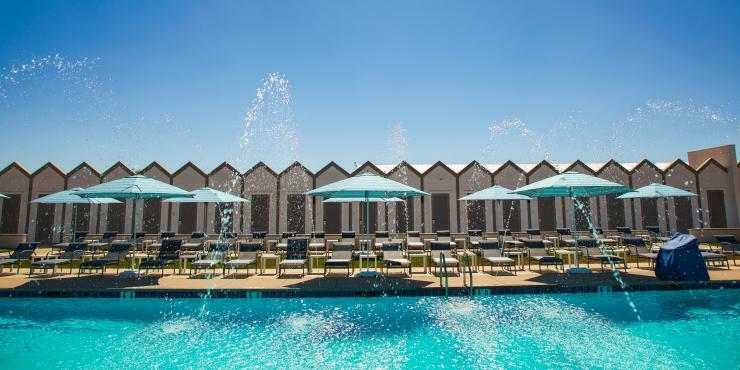 The Cove features three pools, including a zero-edge Main Pool that features a swim-up bar, a Family Pool with two waterslides and a splash pad and five spas. The Cove also features an emerald-green grassy area and a delicious pool restaurant. That evening I attended a reception they had for us, “Taste of Pechanga”. 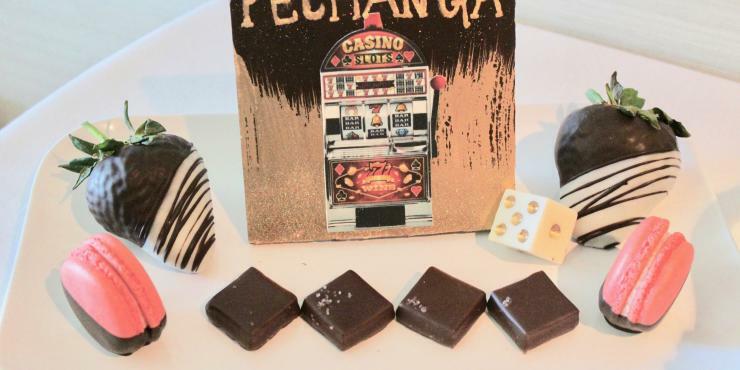 I got to try foods and drinks from all of Pechanga’s 13 restaurants. I knew the food would be good, but I never imaged every restaurant would be so tasty! There is something for everyone at the resort…even the most picky eater will be pleased. Oh, and the drinks were outstanding. Plus, the spa offered an aromatherapy bar where we were able to mix together our own scents! Following my food tasting adventures I went to the Pechanga Comedy Club. I love how everything is right on the resort. The comedian that night was Nate Craig. I love live entertainment so of course I enjoyed the show. I also can’t get over how easy it was to navigate the resort and the convince of the comedy club being on the property. Saturday morning I got up early and checked something off my bucket list!! I got to ride in a hot air balloon ride over Temecula. I still can’t get over how beautiful it was. Pechanga really out did themselves on this one. To participate you contact the resort and they will set it up for you through A Grape Escape, hot air balloon adventure rides. You meet in the lobby and the balloon company picks you up. It could not have been any more convenient. Plus, they provided champaign, juice and breakfast!! This was such a memorable event for me. I’ve wanted to this forever and I don’t think there was a more beautiful place to take a hot air balloon ride. After the hype of the balloon ride finally settled down for me I visited the Pechanga spa. WOW! That is the best word I can tell you to describe my experience. The spa is seriously incredible, one of the very best I have ever been to. I did the 80 minute Acorn & Walnut Renewal + 25 minute Rosemary Reflexology Treatment. I also loved just hanging out in the spa, you can get a day pass that lets you enjoy the amenities. The pool is beautiful and a great option if you want a less crowded, more relaxing experience. After having the best massage of my life I checked out another restaurant at Pechanga. I had lunch at the Coverside Grill again (yes it was that good) which was located inside the Cove pool complex. Remember, how I said early I was completely obsessed with the pool area…well it was even more true after the fun mixology session. I was there on Cinco De Mayo so it was a fun theme and I really enjoyed learning all about the best ways to mix and create tasty drinks. I spent a few more hours at the pool (literally could not get enough of it) and then had dinner at the Lobby Bar & Grill. Followed by a summer inspired dessert tasting…talk about tasty!! By my fourth day I was certain I’d found my new home.  But, I actually left the resort for a Temecula Valley Winery Tour. I did the Grapeline Wine tour and I can’t recommend it enough. 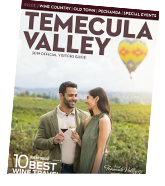 It is the top rated tour in the area and #1 of more than 80 Temecula “Food and Drink” listings on TripAdvisor. It is a family run business and every detail from beginning to end is well thought out. 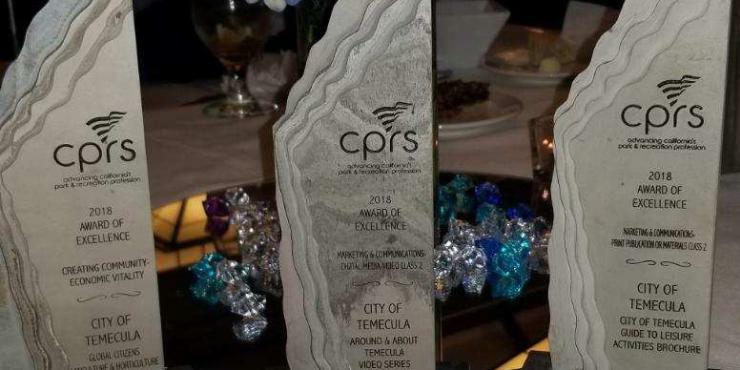 They are very community oriented, even twice named a Temecula business of the year, and both founders have been named Temecula Citizen of the Year. Grapeline Wine tours offers the most tours of any Temecula tour company, including four-winery Vineyard Picnic Tour, three/winery Classic Wine Tour, novel Grapehopper service, and custom private tours. These tours include lunch and lots & lots of delicious wine. I got to see a few different places and had about an hour at each place. It was just the right amount of time to enjoy the wine. If you are interested in scheduling your own tour I highly recommend you check out Grapeline Wine tours, you can also find them on Instagram and Facebook. When I got back to Pechanga Resort I had dinner at Umi Sushi + Oyster Bar. If you are a seafood person this is the place for you! I am not even a big seafood eater and I really enjoyed it! Then came my final day. I was not ready to leave, but so happy that it was as amazing as I had expected it to be. I grabbed a quick breakfast at Blenda Coffee + Wine Bar. Then headed back to the spa for manis and pedis. They seriously spoiled me and I had the best time checking out Pechanga Resort Casino. If you are looking for a vacation that will have you feeling relaxed, refocused and reenergized this is the place for you! I highly suggest you give Pechanga Resort Casino a visit. You can find out more on their facebook, twitter and their website. If you have any questions feel free to reach out to me as I truly can’t say enough positive things about this beautiful resort.